Do we really need expandable memory on our phones any more? As we increasingly look to the cloud, is the end of local storage nigh? Everyone wants more storage on their phone, but the cost seems too high. Apple is constantly lambasted for not having expandable memory ports in its iPhones – but now that we have a 256GB iPhone, and access to reams of cloud storage, do we really need it? For some the extra space is a safety net; for others it's a media storage centre that enables them to hold masses of music, movies and photos. You can only consume so much media though – and with streaming so widely available, do you really need everything on your phone at all times? Now that most top-end Android phones offer a microSD slot the debate still rages: is it better to have expandable memory, or pay the extra money to jump up and have the security of internal memory? Design has been an issue when it comes to external memory, with more premium-looking handsets aiming for unibody designs, which has made putting microSD slots in more difficult. 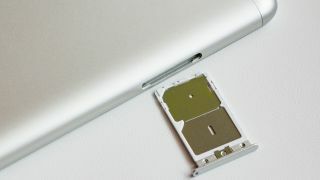 However, more recently manufacturers have been able to create unibody handsets that also feature microSD expansion. The Samsung Galaxy S7, for example, features a strong metal and glass build, and waterproofing, and yet still offers a SIM card slot that doubles as a microSD holder. Speed is also an issue. Cheap memory cards in particular just don't perform as well as internal memory, with one study, carried out by Hyojun Kim at the Georgia Institute of Technology, showing that using a microSD card in your phone can cause it to become sluggish, with even basic tasks like web browsing suffering as a result. Overall performance can often drop by between 100% and 300% – and in one case the study found that there was an incredible 2,000% decrease in performance. Even at the lower end that's a massive loss in performance, and an unacceptable trade-off for some extra storage. The good news is that, thanks to the demands of users like GoPro fanatics, who want to be able to instantly swap cards in and out while recording high–quality content, the newest microSD cards are comparable in speed and performance to internal memory. Ruben Dennenwaldt, Senior Manager, Product Marketing EMEA at SanDisk, told TechRadar: "Our microSD cards [now] go up to transfer speeds of 275MB/s – that's much faster than usual embedded storage." More recent iPhones have speeds nearer to the 200MB/s mark – while that would suggest memory cards are actually faster than internal memory, the way the memory card is read and cached can also be factors, so in reality there's very little difference in speed in real-world usage. There's another issue coming though: as storage sizes increase, speeds need to get faster. Looking ahead, Dennenwaldt makes a telling statement: "We can't comment on our future roadmap, but demand for memory is ever-evolving, and files [keep getting] bigger with new technologies like VR, 4K, 6K and even 8K coming." Then there's the issue of how much the two kinds of memory cost – or, more precisely, the perception of it. Many see internal storage as being far too expensive compared to the cost of just buying a larger microSD card. For instance, the iPhone 6S is offered in 16GB, 64GB and 128GB sizes – the cost difference between the models can be up to 10 times the price of buying the equivalent memory card. What isn't taken into account with that stat, of course, is that internal memory is higher-quality, faster to use, and generally more stable, as it's part of the phone's core operating system. The same can't generally be said of expandable memory. Giving a talk at Chaos Compute Club Congress, hardware hacker Andrew Huang said: "Flash memory is really cheap. So cheap, in fact, that it's too good to be true.